Incarnation Coloring Page - Fiat! 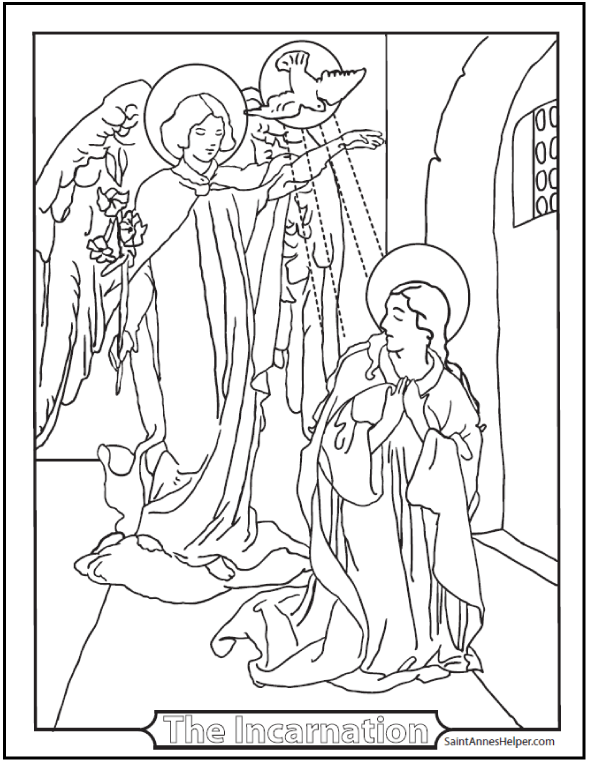 This is a beautiful Incarnation coloring page that shows the Archangel Gabriel announcing to Mary that she was to be the Mother of God. The Incarnation was the same as the Annunciation on March 25. PDF prints 8.5x11" single sided. Print this Incarnation coloring page here. Print this interactive PDF here.